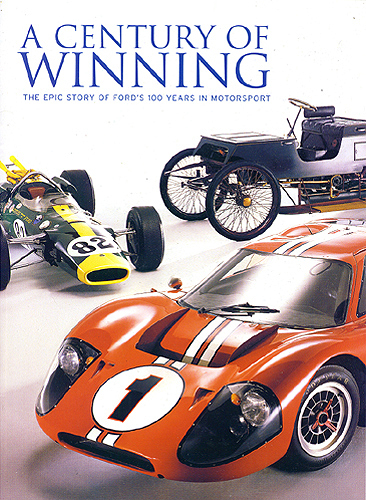 This is a 67 page advertisement-free (not counting Ford, of course) magazine format booklet published in 2001 by Haymarket Autosport Publications, produced to celebrate Ford's 100 years of participation in motorsport. It was distributed by Ford Motors, through dealers and delivered to members of the press. 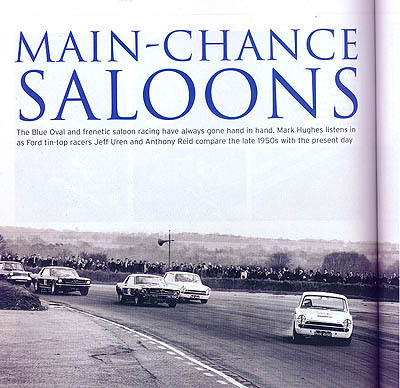 Lotus Cortinas are mentioned in text and shown in black and white photographs, from pages 50-53 in the chapter titled "Main-Chance Saloons", and again in the 2-page "50 Ford Facts & Go-Figures!" found at the back of the magazine. That's about it. But I liked the chapter on the Cosworth V-8, and of the "Them & Us" chapter, that probably should have been titled "Them Vs. Us", about the Ferrari-Ford rivalry that produced the Ford GT MKIV. Not available new, it must be found on the used market. Plenty of copies seem to exist.